The Human Vaccines Project and Vanderbilt University Medical Center will use the next-generation sequencing tools and expertise of Illumina to decipher the genes and proteins that make up the human immune system. The Human Immunome Program, coordinated by the Vanderbilt Institute for Clinical and Translational Research, aims to determine key principles of how the human immune system prevents and controls disease by illuminating the complete set of genes and molecular structures within the human immunome. The Program plans to genetically sequence the receptors of B and T immune cells from individuals of diverse ages, genders, genetics, geography and disease states. Results will be shared with researchers worldwide through an open-source database. Those biomarkers, researchers reason, will enable the development of targeted vaccines and immunotherapies against a variety of diseases. But the human immunome is estimated to be billions of times larger than the estimated 20,000-gene human genome, which will make deciphering the components much tougher than the sequencing required for the $3 billion Human Genome Project two decades ago. However, the continuing shrinking cost of sequencing since then, plus new technologies, not only enables the Human Immunome Project—but likely at a lower cost than the Human Genome Project. Since the immunome program was launched in last June, researchers have been studying the immunomes of three people in the initial “catalytic” phase aimed at refining the technologies needed. The immunome program expects to study 100 individuals within a year or two, then expand to about 1,000 individuals over an estimated five years, with the entire program running six to seven years. Sequencing the B cell repertoire will require a system capable of longer reads, Dr. Koff said, which is why the program has opted to use Illumina’s HiSeq sequencers. 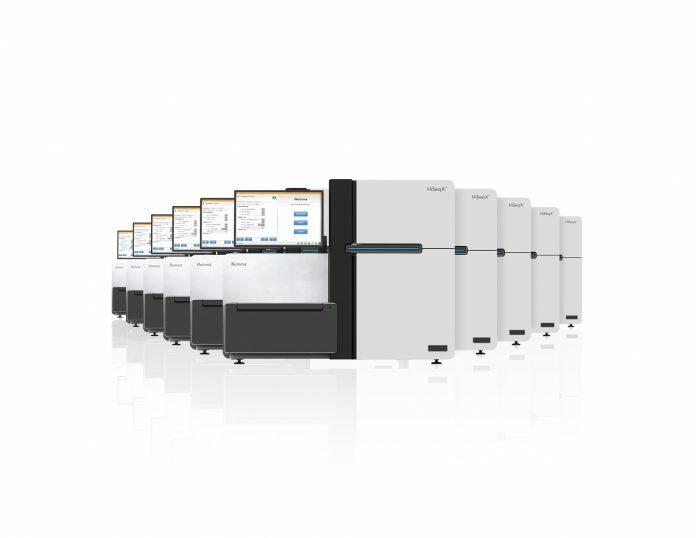 The top-of-the-line HiSeq X Ten System offers an output range of up to 1.8 Tb and up to 6 billion reads per run. Researchers are still discussing how to sequence the T cell repertoire. A possible solution, Dr. Koff said, is Illumina’s NovaSeq series of sequencers, which were announced in January and, according to the company, will someday enable a $100 genome. The top-of-the-line NovaSeq 6000, which began shipping during the first quarter, offers an output range of up to 6 Tb, and up to 20 billion reads per run. “The Illumina instrumentation and informatics and know-how of the team is really the key to really helping us look at our whole plan ahead,” Dr. Koff said. Also supporting the immunome program is analysis of its data sets through the Human Vaccines Project Bioinformatics and Data Management Core, located at the J. Craig Venter Institute, and the San Diego Super Computer Center at the University of California, San Diego. The immunome program is one of two key initiatives of the Human Vaccines Project. The other is the Rules Immunogenicity Program, which seeks to define the rules of immunological protection.